One of the most buzzworthy, sometimes controversial, topics in stormwater recently is reuse. Small scale reuse like rain barrels been encouraged for years. That’s not what we’re talking about here. We’re talking reuse on a larger scale, like a ‘provide water for an entire building’ or ‘save your city during a drought’ scale. How does large-scale stormwater reuse work? Large-scale stormwater reuse is accomplished by re-routing flows to storage areas, filtering through green infrastructure or other methods if necessary, identifying proper uses for that water, or saving it for a (non) rainy day. The benefits of reuse are two-fold: First, pollution from runoff and over-burdened combined sewage systems is mitigated, and second, valuable potable water is saved as the captured stormwater is put to work in its place. Los Angeles was one of the first U.S. cities to tackle large-scale stormwater reuse, and with good reason. Southern California is regularly hit by severe droughts, so they cannot afford to let good water slip away. In addition, during those long periods in between rainfall, pollutants build up on streets and other impervious surfaces. When it finally does rain, pollutants are more concentrated in the “first flush” of stormwater hitting local waters than in regions where it rains more often. When the city first revealed its plan to begin reusing stormwater in 2015, they estimated that they could store 253,000 acre-feet of water per inch of rain, 40% of the city’s annual water need! Swapping beach closures for a safety net during a drought? Not such a bad trade! 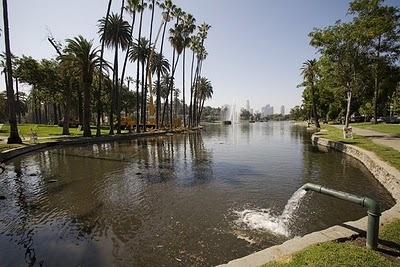 To accomplish this goal, stormwater is routed away from typical conveyance systems and into several projects including a mix of green infrastructure and large storage sites, such as Echo Park Lake, which has been completely retrofitted to store and filter incoming stormwater. 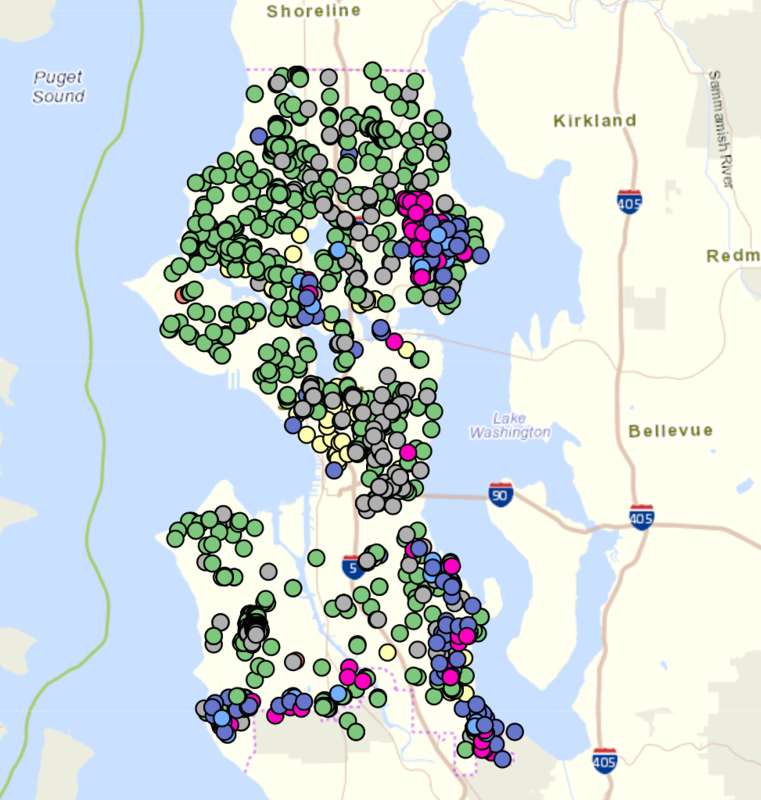 Seattle, WA, is has also launched an aggressive program to capture stormwater. 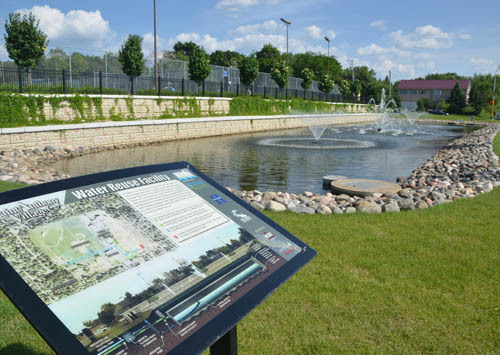 Their 700 million gallons campaign is aimed at promoting stormwater reuse on a city-wide scale and includes large city-driven projects as well as promoting smaller-scale, residential-level projects. A map-view of the initiative allows residents (and us!) to see how many projects are active throughout the city. But if stormwater is the #1 source of surface water pollution, what can we use it for? Obviously, stormwater can be pretty polluted, so reuse activities must consider human health concerns and potential contamination of groundwater or sensitive vegetation. Luckily, most of the activities we use water for do not require potable quality water. There are plenty of ways to use this water where no treatment or minimal treatment is required. Popular uses include irrigation, firefighting, industrial process water, decorative water features, toilet flushing, and sewage line flushing. Portland, OR, is another leader in stormwater reuse. Their goal is simple: no potable water used for non-potable needs. A recent retrofit in the Meier and Frank depot has led to some innovative reuses, including piping reuse water, collected in a concrete cistern, for non-potable uses within their building. They did need to do some education regarding possible “off” color of that water—but signs reading “we flush with rainwater” have helped to resolve these concerns and have even fostered a holistic community atmosphere. 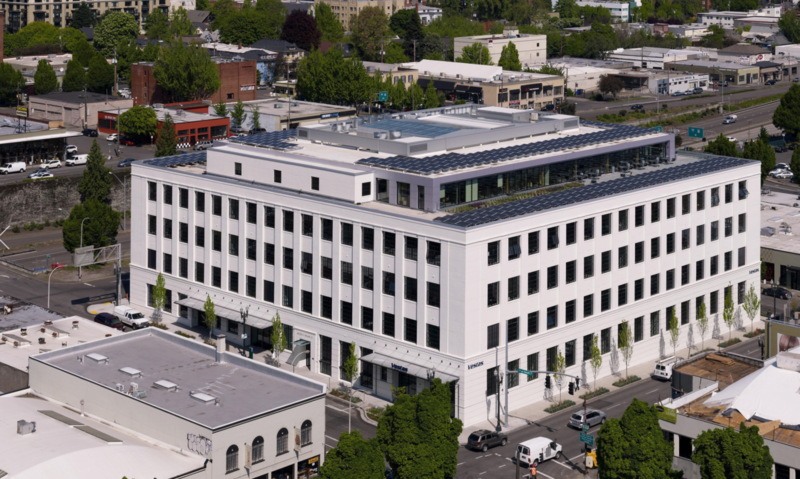 In addition to preventing stormwater pollution and saving drinking water, the change in water use has also significantly reduced the building’s operational costs. Total water consumption in the building is 80% less than for buildings of similar size. But can you reuse stormwater for…beer? Why, yes you can—thanks for asking! The Water Environment Federation has recently teamed with breweries to create the Pure Water Brewing Alliance, where breweries are trained to brew 100% sustainable beer using reuse water. So, if even if your city is not yet on the stormwater reuse train—you can go ahead and get the party started. Suzie has over a decade of experience in the Stormwater industry including both government and academic work. She leans on her experience to meaningfully interpret scientific studies and government policies to communicate a practical message. Suzie lives just outside Nashville, TN and gets outside whenever she can to explore nature with her husband and two small children.